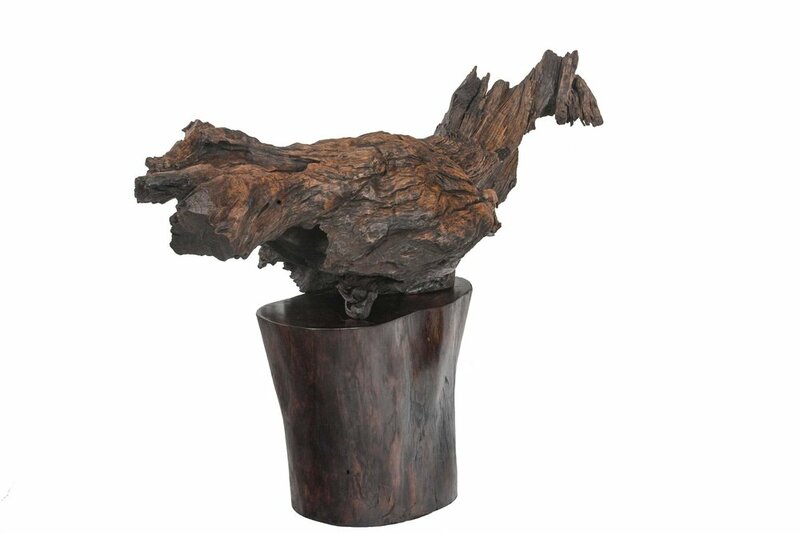 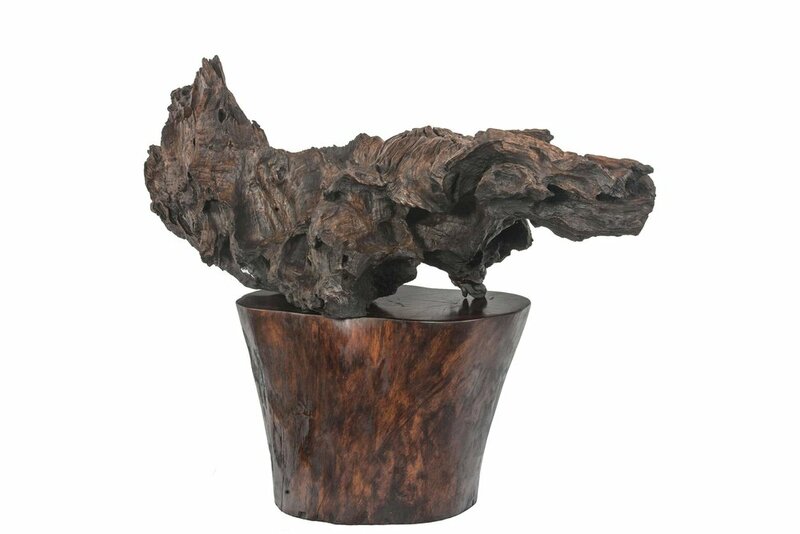 Eagle, an all teak wood sculpture perched on a polished pedestal, is a powerful object of Americana expressing the artist Vladimir Nazarov’s love of the versatile materiality inherent to wood. 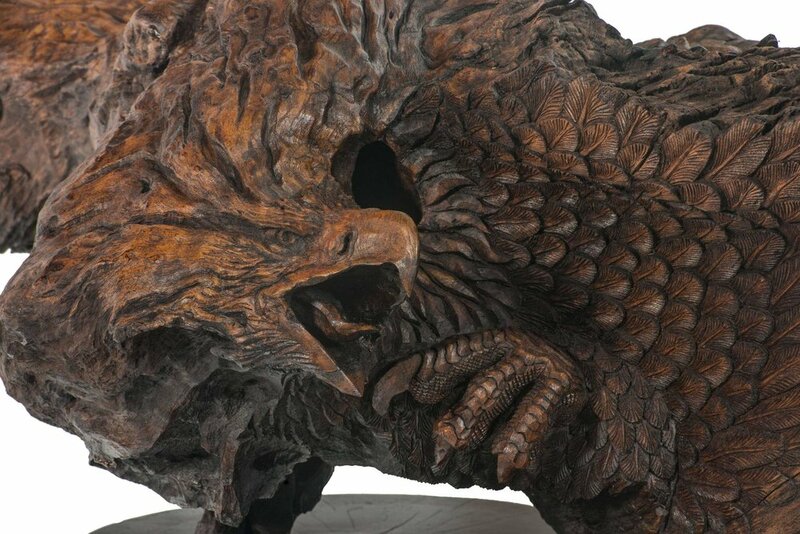 Emerging organically from the formal contours of the found teak, Eagle appropriates the symbolic likeness of this uniquely North American bird of prey. 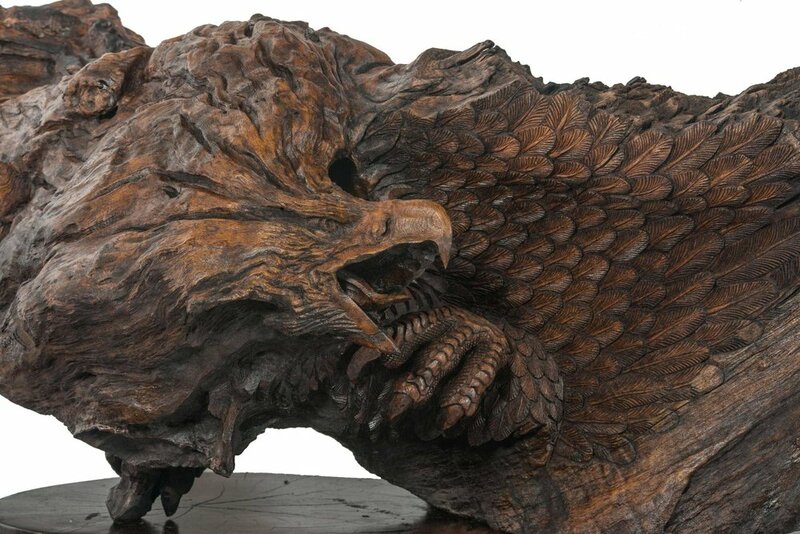 Serving both as a National Bird and symbol of the United States as well as a sacred totem of Native American tribes, Nazarov’s Eagle connotes intercultural ways of seeing in respect to the natural world.